RuffPad 10 is a LCD Drawing Pad which can be used as a writing pad, notice or memo pad, reminder and to-do list pad, you can even play games like crosses and naughts or tic-tac-toe, kids doodle board/handwriting practice/math practice pad, and also a sticky note pad on the refrigerator where you leave a messages for your spouse or kids. RuffPad 10 is made of high quality durable plastic and can easily withstand pressure of your wrists while taking notes. 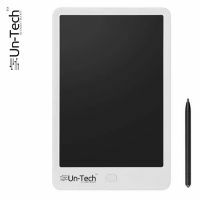 The pressure-sensitive LCD writing surface is very rugged too. Content Safety: You can safegaurd the content on the pad by simply using the lock button which ensures that the content is not accidentally erased even when the Erase Button is pressed. This protects your important notes and lists. Play games like crosses and naughts,You can use the stylus, any pencil or even finger on the surface. 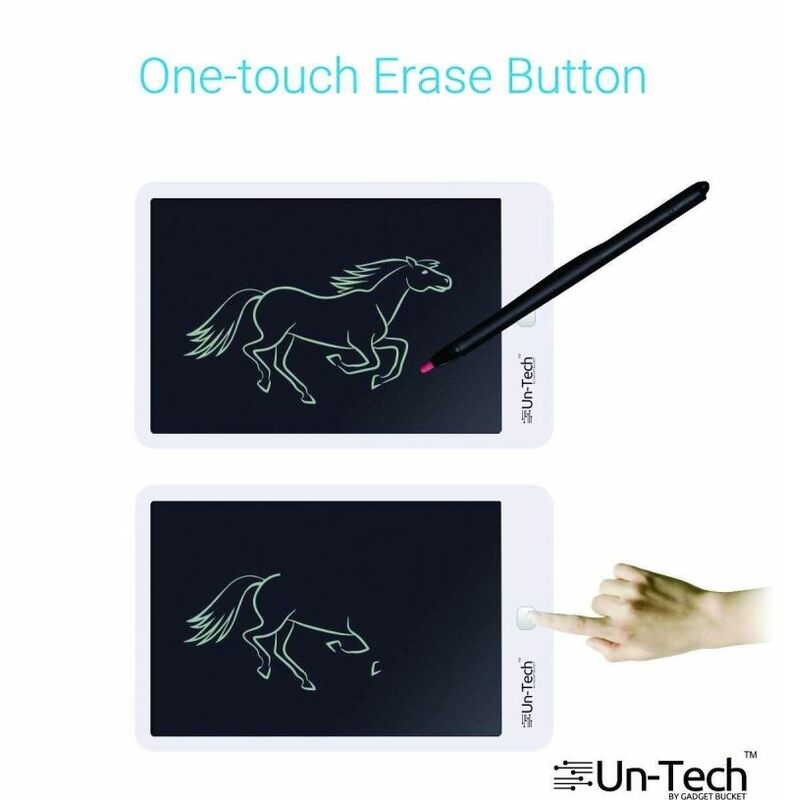 One Touch Erase Button: User to simply erase the existing content on the pad with a simple press of a button making the pad ready to take new instructions or sketches. High Quality: durable plastic and can easily withstand pressure of your wrists while taking notes. 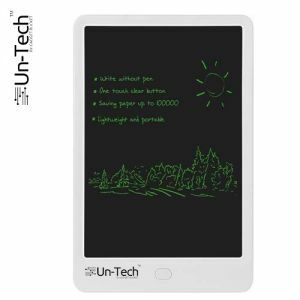 Light and Handy: The pressure-sensitive LCD writing surface is very rugged too. 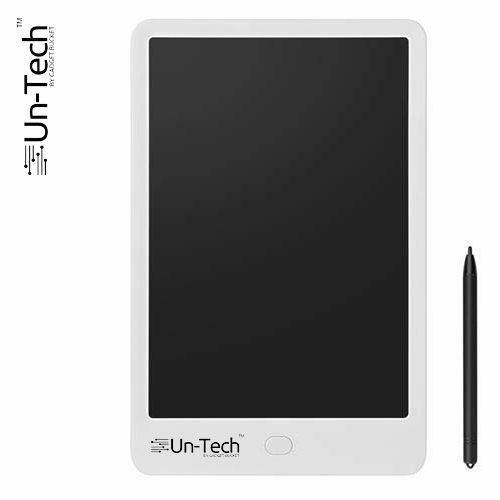 It is lightweight, ultra thin and handy device which is ideal of homes, offices and in-between.